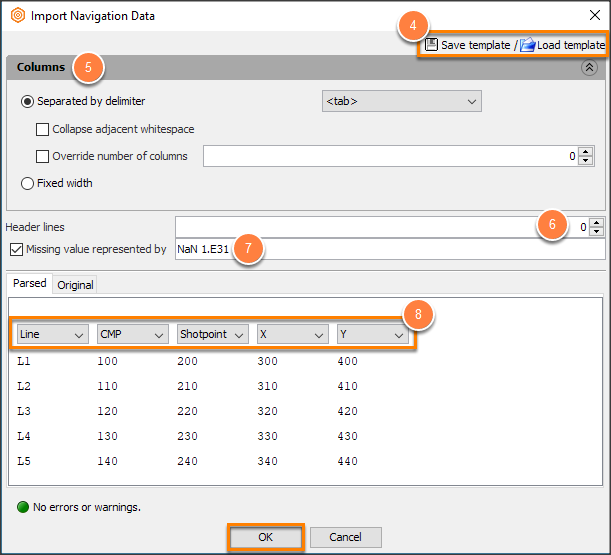 If you have chosen to import navigation data (see Remapping Headers), the Load Navigation Data Files window will be displayed. The SEG-Y Loader can read columnar text files as well as UKOOA P1/90 files. 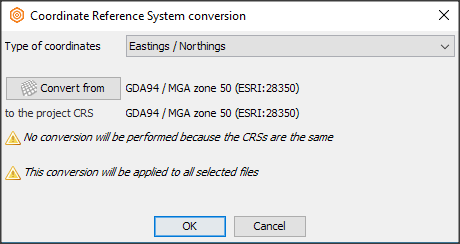 When importing files containing latitude/longitude, you will be prompted to perform a coordinate conversion to the project CRS. Note: This step is optional. Instead of importing navigation data, you can enter tie points manually or use a survey from the project. To skip this step, click Next without selecting a file. 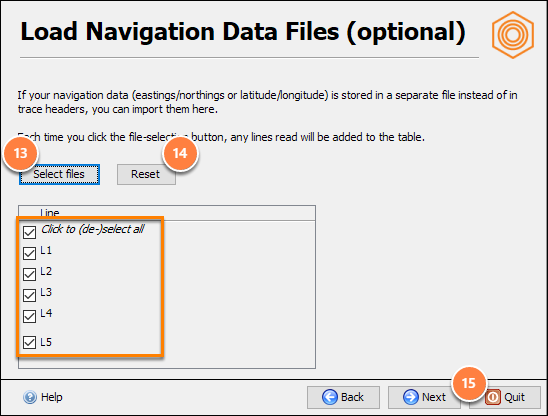 In the Load Navigation Data Files window, click Select files. Browse to the navigation file you wish to import and click Open. For a recognised format such as P1/90, Insight will bypass this step and continues with the Load Navigation Data Files window. The Import Navigation Data window will be displayed. Tip: For more information, click on the Help icon at the bottom left. Save or load an existing import template. Select the delimiter or use the automatically detected columns. Click Collapse adjacent whitespace to remove trailing blanks space in any of the columns. Use Override number of columns to specify the number of columns to include. Select Fixed width and enter the width of each column. If the navigation data includes Header Lines, specify how many lines the headers occupy. Click Missing value represented by check box if there are have missing values in your data. In the Parsed section, adjust the column(s) representation if they appeared incorrectly. If there are no errors or warnings, click OK. Select the CRS (if required). specific line: untick the appropriate line checkbox. all lines: tick the Click to (de-)select all checkbox. 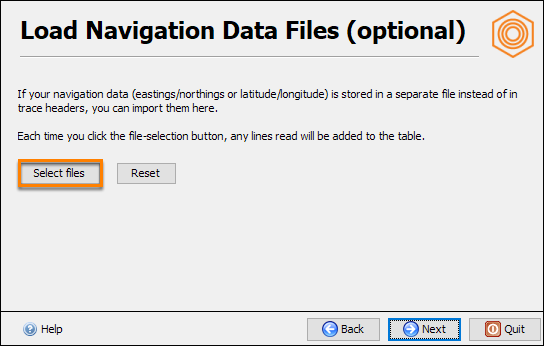 To remove all the lines and select a different navigation data, click Reset and repeat the first step. Click Next to proceed to the Survey window.